PESHAWAR: The National Peace Award winner, Malala Yousafzai, who was attacked in Swat, is currently under treatment in CMH Peshawar. 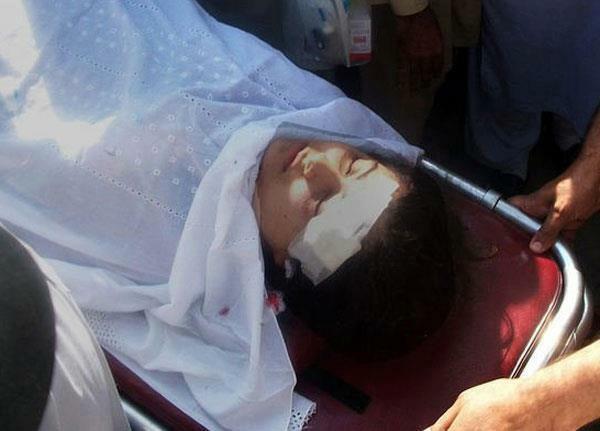 The teenage children's right activist Malala was injured along with two other girls when unknown assailants opened fire on her vehicle in Swat. "We carried out this attack," TTP spokesman Ehsanullah Ehsan told AFP, speaking by telephone from an undisclosed location. "Anybody who speaks against us will be attacked in the same way." CMH Peshawar has called a team of doctors from Lady Reading Hospital. According to police, Malala along with two other schoolgirls was injured when unknown attackers opened fire on her vehicle in Mingora after identifying Malala. The girls were on their way back from school. Wake Up Malala.. Hum Sab Ki Duaain Tumhare Sath hen..